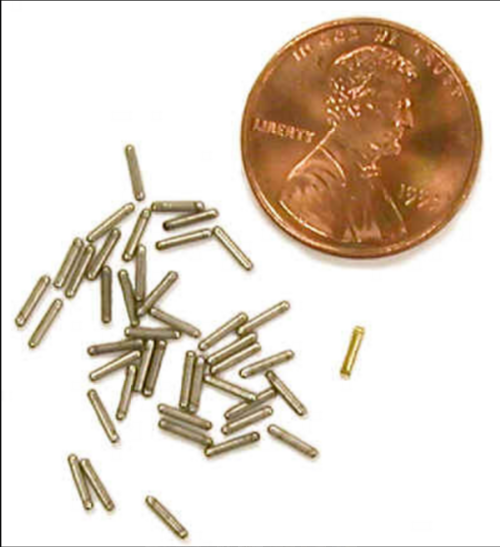 Prostate Seed Implants are a form of Low-Dose Radiation (LDR) therapy. This minimally invasive procedure is one of the most common and effective ways to treat prostate cancer. Because this type of treatment is minimally invasive, you will have a shorter recovery time and be able to resume normal activities within a week. Seed size comparison. Image courtesy of the Nuclear Regulatory Commission (NRC). Brachytherapy can be used to treat prostate cancer in the form of prostate seed implants. During this procedure, your doctor will place 80 – 120 small radioactive ‘seeds’ into your prostate. This procedure may be performed on an inpatient or outpatient basis depending on the individual. Over the next few months, the seeds release radiation into the prostate gland and shrink the tumor. The radiation from the seeds wears off over time, leaving the seeds inert. The seeds will not be removed following the procedure. Brachytherapy may be used on its own or with another type of treatment. 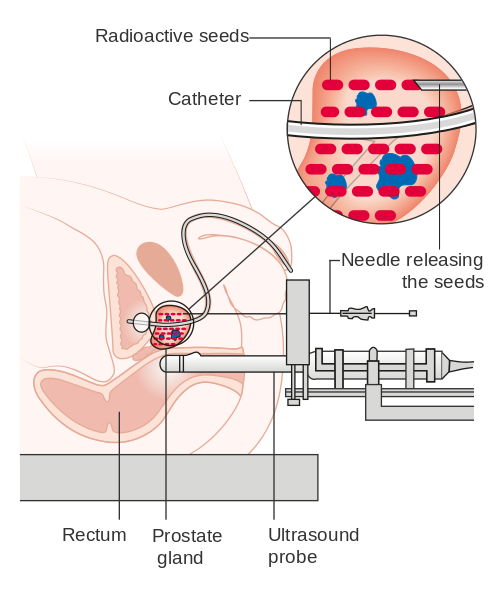 Prostate seed implantation is a form of Low Dose Radiation (LDR) brachytherapy. This means that the source of radiation is given in a low, continuous dose for a long amount of time. Prostate seed implant diagram. Image courtesy of Cancer Research UK. In most cases, prostate seed implantation is performed on an outpatient basis. In rare cases, you will be admitted to the hospital for the procedure. You will either be put under general anesthesia or have an epidural so you cannot feel anything below the waist. The doctor will place an ultrasound probe into your back passage to help guide the placement of each individual seed. The doctor will then use a fine needle to insert between 80 – 120 radioactive seeds into your prostate gland. The seeds will give off radiation for the next several months before becoming inert. The seeds will not be removed after implantation. After the procedure, you may be sleepy or feel some temporary tenderness. For outpatient procedures, you can generally go home after the anesthesia has worn off. For inpatient procedures, you may stay in the hospital for a day or until advised by your doctor.